The Power of the SoCal Coyotes. 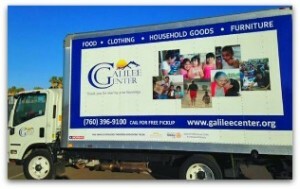 Partnering with the five-time champion SoCal Coyotes is extremely valuable to your brand. From inception, our mission has been to build and grow the most respected and most valuable professional sports leadership and developmental football franchise in the world. 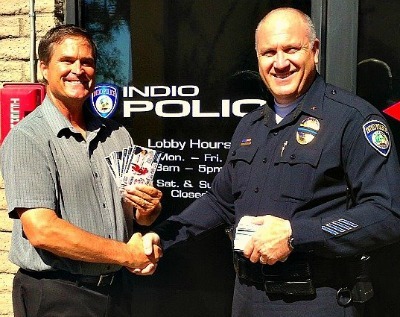 The Coyotes enjoy a broad array of powerful corporate partners, including the City of Indio – home of Coachella, the nation’s largest outdoor music festival. Indio Councilman Glenn Miller and California State Senator Jeff Stone are among many vocal Coyote advocates. They share the Coyotes vision of a multi-use Coachella Valley sports complex that will include a new permanent home for the entire Coyote organization. In Facebook ‘likes,’ the SoCal Coyotes are by far the nation’s most-‘liked’ pro developmental organization, and thousands ahead of any existing developmental league in the country. They rank ahead of five of the 10 teams in the Indoor Football League, and half the four teams in the Arena Football League. ESPN 103.9, The Official Flagship of the SoCal Coyotes. 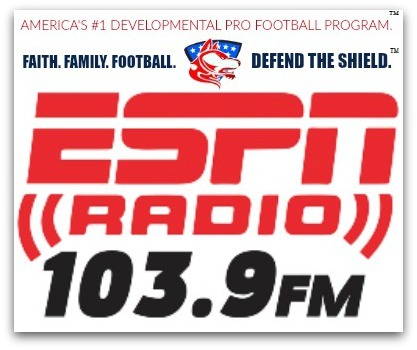 ESPN Radio 103.9 FM is the official flagship of the SoCal Coyotes, and will broadcast all eight 2017 games plus playoffs of America’s #1 Developmental Pro Football Program™. In addition to play-by-play broadcast of the Coyotes entire season, the network also hosts a weekly “Restore the Roar Coach’s Show” that will run preseason through playoffs. The Coyotes and its Brands are #1. -The Coyotes are America’s #1 Developmental Pro Football Program. -The Coyotes are the fastest-growing sports brand (19,000 Facebook likes) in desert history, more than baseball, prep and college sports combined. 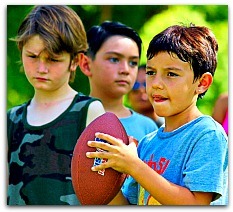 -Football is the #1 sport across all demographics (male, female, youth, Hispanic, African-American). -The Coyotes are the cornerstone franchise of a Pacific Coast Division that reaches from Arizona, to Nevada, and throughout Southern California. The Coyotes non-profit holds patents pending, copyrights, trademarks and licenses on more than a dozen intellectual and business properties, including brands, logos, designs, names, programs, advertising and marketing literature, products, photographs, publications and proprietary assets. 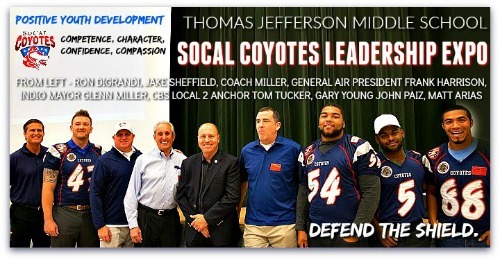 Since inception, the SoCal Coyotes non-profit sports leadership organization has contributed thousands of dollars and tireless efforts to support participating schools, charities and organizations, with a focus on programs in education, character development and health and fitness, empowering generations of youth. 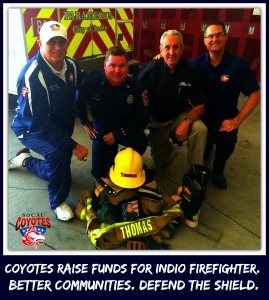 SoCal Coyotes Strategic Community Partners. No desert institution delivers a more immediate, and obvious, return in our valley youth than the SoCal Coyotes. -Average Facebook growth of 200 likes per week. -Average 125% year over year increase in video and video engagement. -Average unique visits to SoCal Coyotes up 1600% vs. 2012. Alexa rankings up 4.3 million in 2017. -Google analytics – weekend post reach upwards of 60,000. -Hourly daily engagement of 2,074. The Impact of a Facebook Like. The Washington, D.C.-based Pew Research Center reports that 67-percent of all Americans in 2016 turned to Facebook for information and news. Brandwatch reports that as of January 2017, there are more than 1.71 billion monthly active users on Facebook, each claiming an average of 136 friends. Syncapse, Inc., a social media marketing company, has valued a Facebook ‘like’ at $136 since 2015. To determine that number, Syncapse compared the consumer habits between fan and non-fans using the categories of product spending, brand loyalty, likelihood to recommend, media value, cost of acquisition, and brand affinity. The data was collected from around 2,000 panelists, across a wide range of demographics. The Coyotes publish content across all social media, including Instagram, Snapchat, Twitter and Facebook. The SoCal Coyotes are happy to discuss sponsorship opportunities of all types. Please contact us today to speak about how you can become a corporate partner with the SoCal Coyotes.